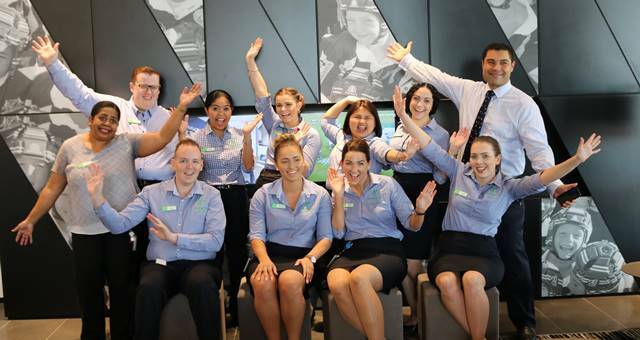 Holiday Inn Sydney St Marys has officially opened its doors. Conveniently located between Parramatta and Penrith and close to the stunning Blue Mountains, the 119-room features a business centre, gym and meeting rooms, free high-speed internet access and has been finished with the trademark precision of award-winning company FDC Constructions & Fitout. St Marys Rugby League Club CEO, Rod Desborough is delighted to open the doors of the hotel saying, “The hotel offers our valued Members and their families, as well as the wider rugby league community, visitors and tourists an entirely new and modern accommodation option”. “The Hotel, combined with the St Marys Leagues Stadium, Skypeak Adventures, Go Bananas, the Club’s existing facilities and the exciting plans for the future will ensure that the St Marys Rugby League Club Complex is a major tourist destination for Greater Western Sydney and the realisation of a long term dream for the Club” he added. Winston Gong, Holiday Inn Sydney St Marys General Manager is confident the hotel will exceed expectations, saying “The hotel itself is ideal for business, group, sporting or leisure travellers looking for smart hotel solutions in the thriving Greater West. With the added benefits offered by the Club this will set us apart from most other hotels”. Situated adjacent to the much-loved St Marys Rugby League Club, connected via a covered landscaped walkway, the hotel is a highly anticipated addition to the Club’s offering. Guests can enjoy all the excellent facilities that the St Marys Rugby League Club Complex has to offer including four restaurants, multiple bars, lounges, function rooms and free entertainment.